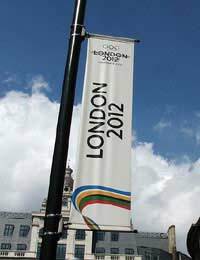 London 2012 has promised the International Olympic Committee (IOC) it will deliver the first sustainable Olympic and Paralympic Games. The city’s sustainability plan is based on the WWF/BioRegional concept of ‘One Planet Living’, which encourages people to live within the world’s resources. Climate change – to minimise greenhouse gas emissions and ensure facilities are able to cope with the impacts of climate change. Waste – to minimise waste, ensure no waste is sent to landfill during the Games and encourage the development of new waste processing infrastructure in East London. Biodiversity – to minimise the impact of the Games on wildlife and their habitats in and around Games venues, leaving a legacy of enhanced habitats where possible. Inclusion – to promote access for all and celebrate the diversity of London and the UK, creating new employment, training and business opportunities. Healthy living – to inspire people across the country to take up sport and develop active, healthy and sustainable lifestyles. London 2012 is committed to using venues that already exist in the UK where possible and only making permanent structures that will have a long-term use after the Games. Temporary structures will be built for everything else. The aim is to use the Games as a catalyst to encourage more sustainable living across the whole of the UK and for the regeneration of and improvement of quality of life in East London. 55,000 temporary seats and a structure designed to be easily dismantled and reused. A roof that could be removed or adapted after the Games for a smaller stadium. A lightweight roof and membrane wrap that can be recycled or reused after the Games. Temporary hospitality, catering and retail outlets which can potentially be relocated after the Games. This marks the start of a new approach to the design and engineering of stadia for the Olympic and Paralympic Games and other major sporting events. These measures led to a 50 per cent reduction in the carbon footprint of the stadium against the original, more conventional concept design. The embodied carbon impact from concrete has been reduced by over half through the use of cement replacement such as GGBS and PFA. Wherever possible site-won fill materials have been used. Aggregate from secondary sources has been used to replace virgin aggregates in concrete production. Concrete and imported aggregates have been transported to site by rail. Use of a lightweight cable roof and membrane cover with an embodied carbon footprint that is 90 per cent less than that of a steel roof. Use of lightweight block work with a high percentage of recycled content.